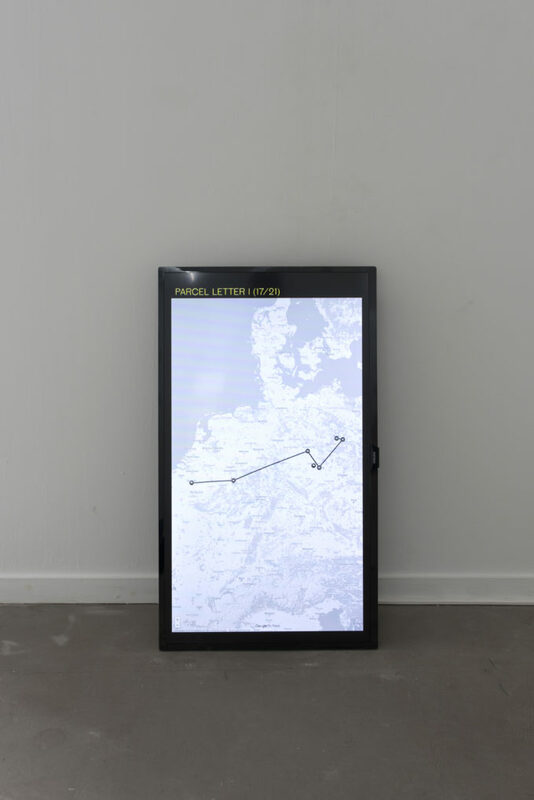 Super Dakota is delighted to present Decisions, Decisions, Decisions, !Mediengruppe Bitnik’s first personal exhibition in Belgium. !Mediengruppe Bitnik (read – the not mediengruppe bitnik) are the artists Carmen Weisskopf and Domagoj Smoljo. They are working on and with the internet. 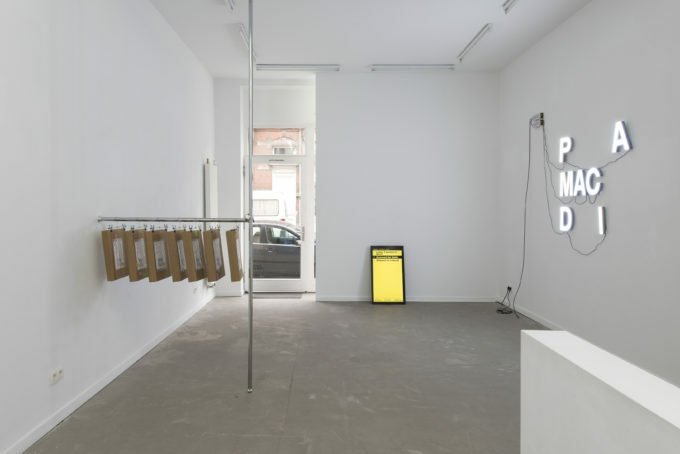 Their practice expands from the digital to affect physical spaces, often intentionally applying loss of control to challenge established structures and mechanisms. 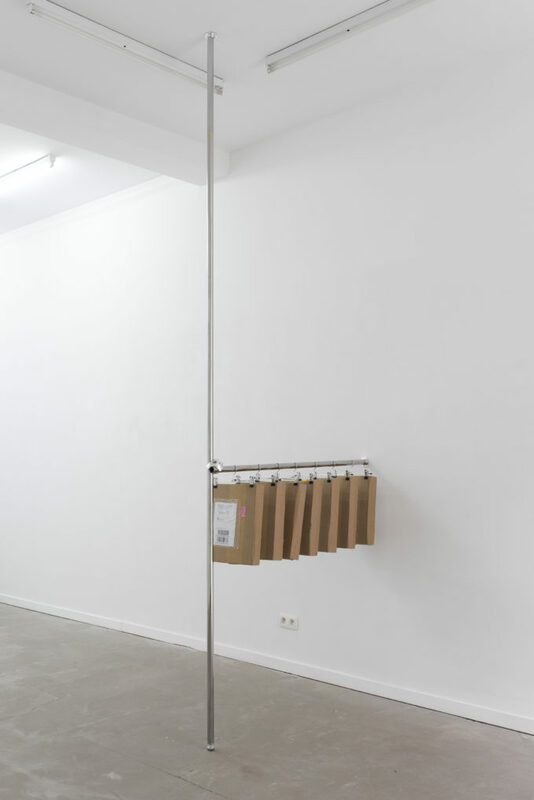 Their works formulate fundamental questions concerning contemporary issues. For their first personal exhibition at the gallery, !Mediengruppe Bitnik chose to present two different works. 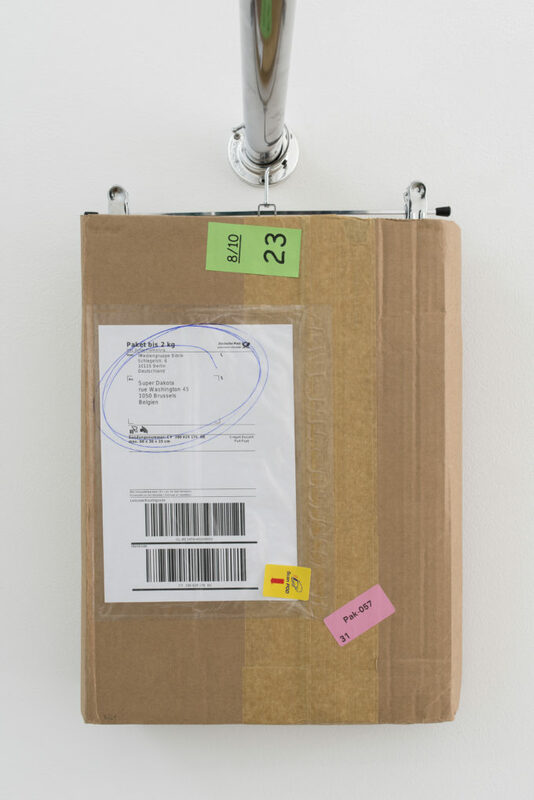 The first one, Postal Machine Decision came from the studying of spaces governed by algorithms and machines. They decided to test the postal machines now running our delivery systems. 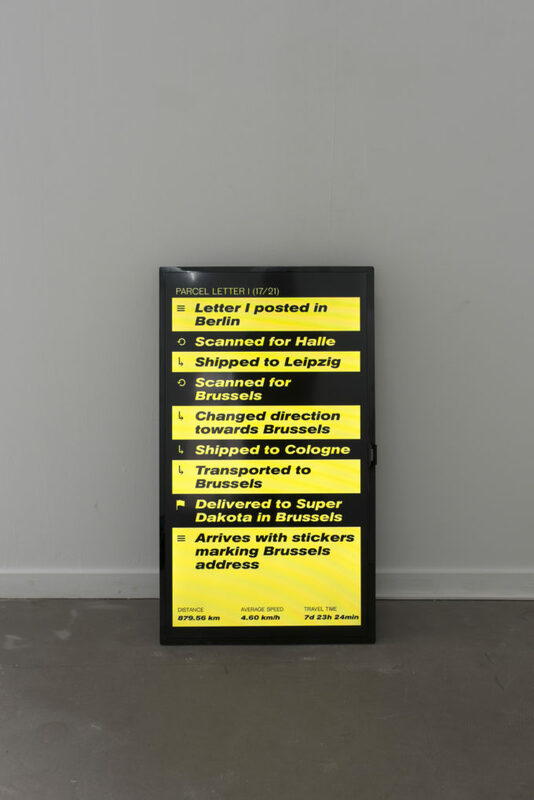 In a homage to Ben Vautier’s piece “The Postman’s Choice” in which a postcard was printed identically on both sides with different addresses and was left to chance and the postal authorities to choose which of the two possible addresses it should be delivered to, !Mediengruppe Bitnik sent one installation piece to two different exhibitions. The first space, in Halle, Germany for the Welkleitz Festival: Fetch and Deliver 20.10.-04.11.2018 and the second one being Super Dakota. 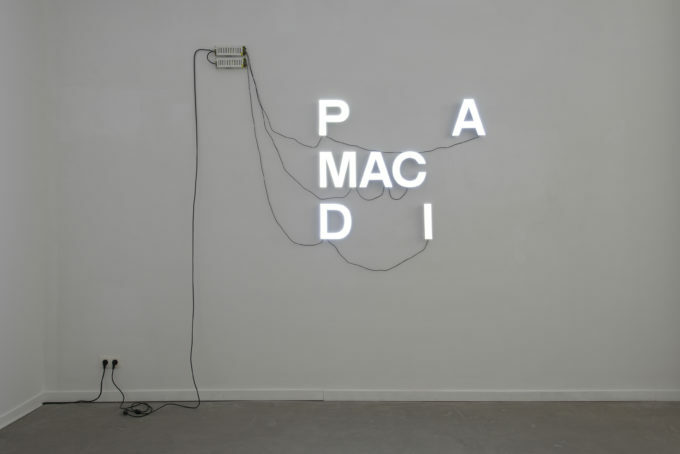 The installation piece consists of illuminated letters making the title of the work: “Postal Machine Decision”. Once produced, each letter was placed in 21 separate parcels equipped with two addresses, sending each package either to Halle or Brussels. 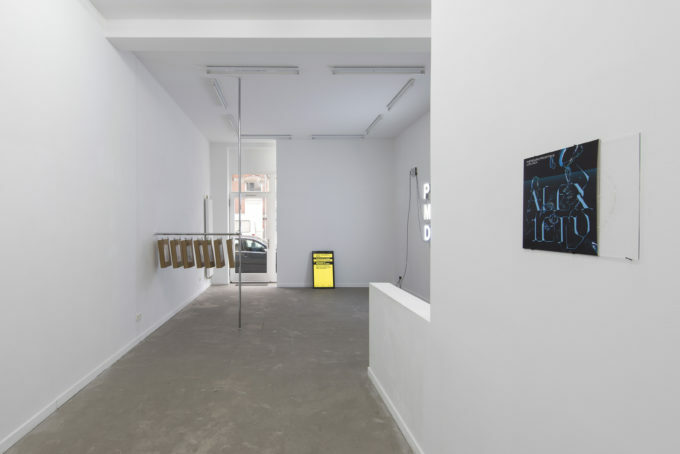 The title of the work is formed from the letters that randomly arrive at the gallery, leaving the authorship of work as much to the artists than the postal machines. 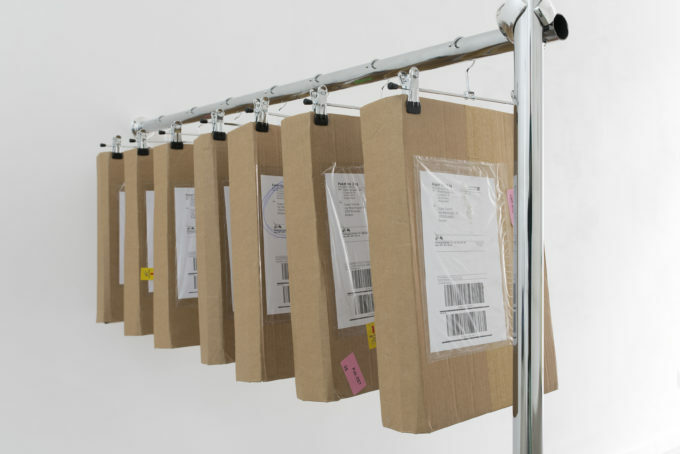 Before reaching their final destinations, the parcels travelled back and forth between different postal facilities. Depending on which side is scanned, they change direction multiple times. 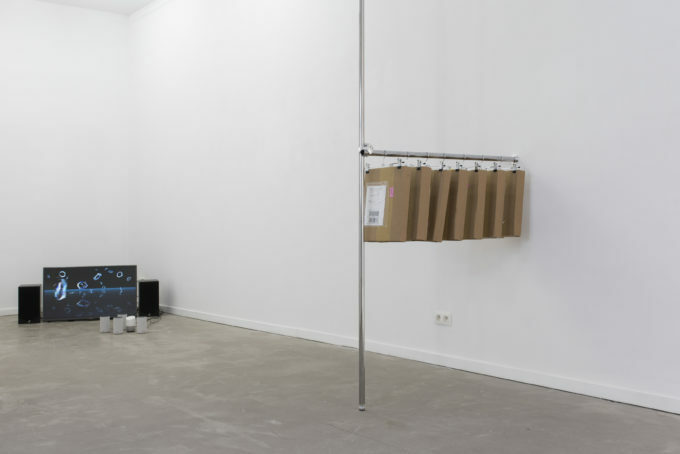 A TV screen sitting on the floor of the gallery is shows the recordings of the movements for each parcel, documenting the surrealist journey of the piece. 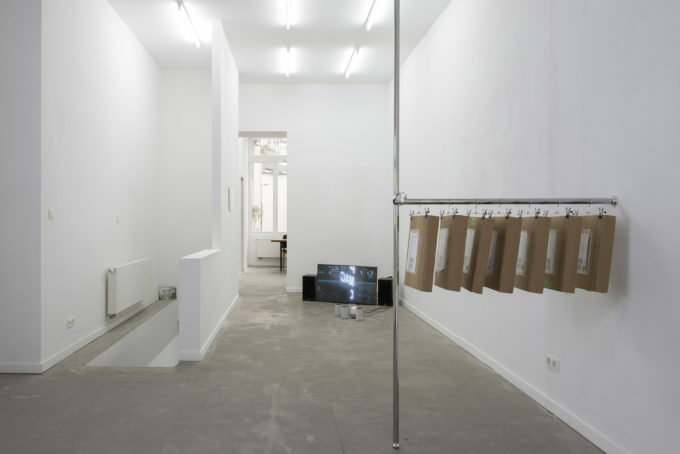 The now empty boxes are also presented in the gallery as the remaining envelop of the work and skeletons of the process. 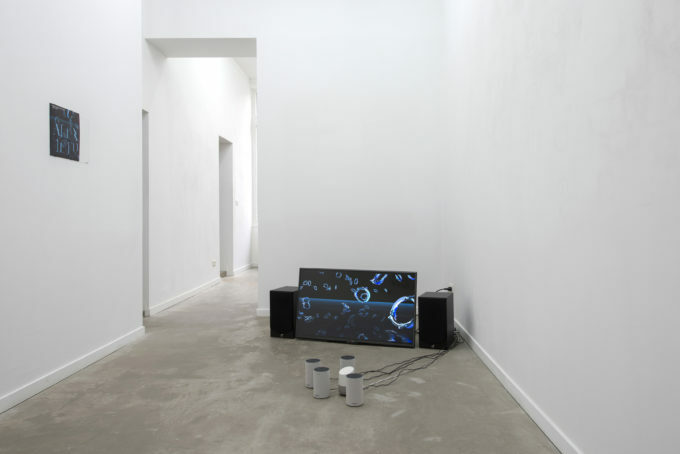 “Alexiety” the second work in the show is a single channel video and sound installation. Intelligent Personal Assistants like Alexa, Google Home and Siri are the brains of the smart home ecosystem. They operate, monitor and control smart home appliances while keeping secret the algorithms and rule-sets that determine how they operate. Intelligent Personal Devices are voice controlled, thus dissolving the machinic presence of the computer while placing its functionalities at the user’s disposal. It’s like living inside the machine, while at the same time having no agency over the composition and structure of one’s environment. What are the relationships we are forming with these IPA devices? What happens when IoT (Internet of Things) devices are hacked to form rogue bot-networks? Is my capacity to act enhanced or diminished when relying on these semi-autonomous devices? 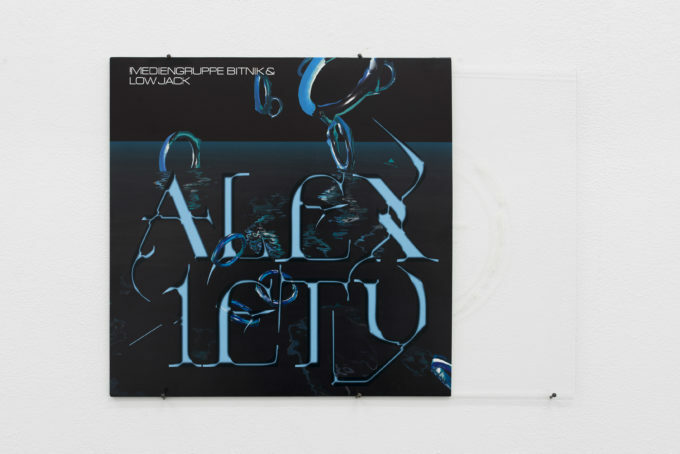 Together with French musician Low Jack, !Mediengruppe Bitnik has been exploring ways of engaging with Alexa and similar « Intelligent » Personal Assistants through music. In ‘Alexiety’, a set of three songs attempts to capture the feelings we develop toward Intelligent Personal Assistants. These feelings can operate on a wide spectrum and they range from carefree love to gratification but also alienation and even anxiety, which gives the title of the piece.